Posted on Dec 8, 2014 by Appleton Downtown Inc.
Do you like candy sampling? Crazy Sweet is the place to go downtown for this delicious candy sampling event. 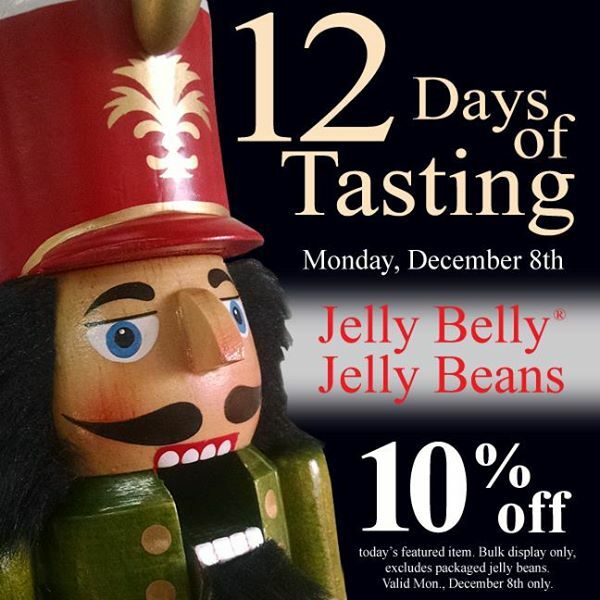 "12 Days of Tasting" event at the candy store starts Monday, December 8th with Jelly Belly Jelly Bean sampling and 10% off Jelly Belly. Each day for the next 12 business days, Crazy Sweet will be offering a different type of candy or chocolate for sampling. Monday starts the promo with Jelly Belly jelly beans. There will be no obligation to buy, but if you want to purchase Crazy Sweet will give you 10% off the featured item for the day. Watch the Crazy Sweet Facebook page each night for the featured item the next day.